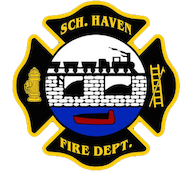 April 10, 2009- At 19:47 all 3 Haven stations were dispatched to 825 East Union Street, Schuylkill Haven Boro, for an automatic fire alarm. However, before any units could go responding, the second call back from county advised all units of false activation. Chief 723 held all units in station while he investigated. After only about 5 minutes, Chief Donatti cleared himself and all Schuylkill Haven units.